It was a Monday full of “twists and turns”in Malaysia. I remembered Boomtown Rats song in July 1979 when I was in England doing my ‘A’ levels” I Don’t Like Mondays” was a UK number one single .When we went back to school after the summer holidays the tune will be sung or whistled at the schools corridors especially on Mondays. Today the 9th of February 2009 “CHAP GOH MEI” for the Chinese community turn up to be a day full of surprises. Firstly news filtered from Malaysiakini http://www.malaysiakini.com/news/97917 that the PAS MP for Bukit Gantang ,Perak has passed away due to a heart attack. A call was made to PKR Sarawak legal advisor See Chee How who was indeed saddened by the passing of the PAS MP. Anyway he said this was a referendum for both Pakatan and BN. He echoed the same as per an internet portal,”Having a by-election so soon after the dramatic events of the past few days will be a referendum, of some sort, of how public feels about the continuing political drama and impasse. Meanwhile SUPP/BN MP for Serian Datuk Richard Riot while talking to audie61 said he was indeed saddened with the news of the death of MP Roslan. On the imminent by elections he said just after PP,KT we are now again facing another Parliamentary elections which is too soon.What to do as the seats have to be filled. But MP Richard said his thoughts and prayers are with the family of the late MP through their testing times. V.Arumugum must have hated today as he had to make the decision of sending his resignation letter to Sultan Kedah Tuanku Abdul Halim Mu’adzam Shah. This latest Malaysiakini report in full which can be seen by clicking http://www.malaysiakini.com/news/97930 today MB Kedah Azizan announced that exco member V Arumugam has stepped down as the state assemblyperson for Bukit Selambau, necessitating in a by-election in next 60 days. Besides the above,Mukhriz, who is also the Member of Parliament for Jerlun, said Pas should consider this alternative as the combined seats of the BN, PAS and Independents in the Perak legislature would enable a strong government to be formed in the state.“If the Malays are united, all Malaysians stand to benefit. Also there was an emergency meeting on this eventful Monday when Perak DAP said it will campaign for Black Tuesday by getting the public to wear black apart from distributing black armbands to mourn “the death of democracy” in the state. It will also organise gatherings after office hours to protest the government switch. So can you call this CHAP GOH MEI Monday a rather sad,interesting, eventful and extraordinary Monday or would you say,”I DON’T LIKE MONDAYS“. BN and Pakatan has their hands full now with by elections in Kedah and Perak scheduled in the next 60 days. Have we forgotten Pensiangan,Sabah ? Permatang Pauh & KT-Gone.. Pensiangan,Next.?? I was having a reunion class of 78 dinner with my ex classmates about 60 of us who made it with our former Principle Brother Columba of the Mill Hill Brothers fraternity and the results kept coming in from KT was very conflicting with one minute BN leading the next PAS overtaking with about 1500 votes. Malaysiakini at 9.55pm http://www.malaysiakini.com/news/96645 had this ,” At a press conference tonight, Prime Minister-in-waiting Najib said that the defeat in Kuala Terengganu should not be interpreted as the voters having spurned Barisan Nasional. On the other hand, another internet portal carried,” In a major boost for the Pakatan Rakyat, Pas won the Kuala Terengganu by-election tonight in convincing fashion, with its candidate Abdul Wahid Endut taking the parliamentary seat by a 2,631-vote majority over his closest rival, Barisan Nasional’s Datuk Wan Ahmad Farid Salleh. KT is over, done, dusted and the people have made their own choice and BN had another right upper hook at its chin. Do you honestly think the BN leadership will rest on its laurels? Are they willing to take another gamble? Will Pensiangan be the next battleground for BN? Najib needs to act fast if he needs to stem out the peoples waver thin support now. Sabah and Sarawak are the bastions of BN support and to gauge that the BN leadership and admistration still commands the majority they need to make sure the by election is called. It will be disastrous for BN I say if the courts decides to favour Tan Sri Kurup and overtune whatever the expected decision. BN needs to show that they are not afraid of the 3rd by election in so many months. BN has losts Permatang Pauh and KT and do you honestly think that Persiangan will also fall? I told a friend from Sabah” This remains a million dollar question and now it will be up to Sabah to show us the MOOD OF THE WHOLE COUNTRY. BN and Pakatan will be itching to taste the waters across the SOUTH CHINA SEA. Tonight PAS (Pakatan) celebrates and UMNO (BN) will lick its wounds and carry on and see how much further the whole country will go. It remains to be seen whether Sabah and Sarawak will fall like the DOMINOES. I still have my reservations as I told my ex classmates of 78. Tony Thien has his report in Malaysiakini http://www.malaysiakini.com/news/88704 in which Sabah Progressive Party (Sapp) has hailed the landslide victory of PKR de facto leader Anwar Ibrahim in the by elections of Permatang Pauh where Anwar secured a majority of 15671. Bugi Wijaya has this statement from the Land Below the Wind. We say the knives are sharpened and BN will take the necessary actions soon. What do you thinK..? 1. The land slide victory of Datuk Seri Anwar Ibrahim augurs well for non-racial politics in Malaysia. The rejection of racial politics shown in the March general elections has been repeated resoundingly by the voters of Permatang Pauh of whom 69% are Malays. 2. But the BN leadership, especially UMNO, never learn. Instead of strengthening national unity among the people, UMNO tried desperately to whip up racial emotions on the NEP issue by mob demonstrations in Penang immediately after the elections. The orchestrating of the student demonstrations at UiTM by UMNO this month, the inflammatory speeches of their MPs in Parliament and racial instigation against SAPP MPs over the no confidence motion in June all prove that the BN and UMNO are still trapped in the old mind set of racial compartmentalization of Malaysian politics. 3. In fact, after the March general elections, both the PM and DPM had declared that the BN would conduct independent studies on the losses suffered by the BN and why people were rejecting BN. Several high level BN committees were even formed to ¡§re-brand BN¡¨. 4. But instead of changing for the better with people-friendly policies, the BN government played around with fuel prices at the whims and fancies of the Prime Minister inflicting suffering on the ordinary people. High level corruption continues unabated. And according to news reports quoting senior UMNO leaders, this year¡¦s UMNO party divisional and branch elections are the dirtiest and most corrupted by money politics ever in the history of UMNO. 5. When SAPP first declared no confidence in the PM, almost all the BN component parties chose to condemn SAPP instead of solving the issues affecting the people raised by SAPP. SAPP reminds the BN component parties to join the SAPP’s move of no confidence in the PM so as to effect change for the better in the country. SAPP now calls on the people in Malaysia, especially in Sabah and Sarawak, to be ready for change. In football that March 8 date was the first quarter of the match and PKR was leading 1-0.The agenda and tactics were “New Dawn for Malaysia” Yesterday the 26th of August voters of Permatang pauh has given it 2-0 at halftime. “Giant Leap for Malaysia” Strange but i do like to play with numbers and what does 15671 signify( 1+5+6+7+1 = 20) that makes 2+0 = 20 Also means 2-0 to Anwar. BN after the last GE did some post mortem but to me its not enough. I wrote early this morning on Politcal.”Wave,Tsunami,After Shocks-Sarawak Next which can be read by clicking here https://audie61.wordpress.com/2008/08/26/politicalwavetsunamiafter-shocksarawak-next-malaysiakini/ I stressed the importance of facing the Realities of “Peoples Power” Simple half time talk by Anwar is to go for the kill. 2-0 according to a former Sarawak football coach Alan Vest is the most dangerous scoreline. At breakfast I shared my thoughts with a YB and a PBB youth exco and they do agree. How does Sarawak do it..? Back to the drawing boards and the CM is the football coach and he needs his players to pull together. Afterall with 26 years experience he also knows that 45 minutes in the game there is another 45 to go with extra minutes added in for injuries or time added on. Anwar of course will remain tight lipped but his next goal will be to score a 3-0. That means if you think about it he needs 30 MPs to crossover. September 16th will be just the 60 minutes mark and Anwar will not stop just there in his pursuit to be the PM and re shape the government. For now he is due to take his oath on the 28th and his statement,” “I will take the oath, discuss and meet with the Pakatan leaders first and then announce (the next step),” He does need to get some much needed sleep and I do understand after this “mother of all battles” where he face the might of the BN machinery and yet came up truimphant. To me is simple.What next BN? Don’t tell me we are not under attack or under siege. In football terms we are under attack from all flanks. How do we stop this? There are so many political analyst,political science graduates,master tacticians and most of them were in BN before. How come they suddenly turn against BN? A true football supporter never changes his colours example MU born Manchester United will not support suddenly a London team say Chelsea or Tottenham. A football supporter is a living example of “LOYALTY TO THE TEAM THROUGH RAINY DAYS OR SUNSHINE” I can talk on this subject as I followed the Leeds Service crew boys in the 80s and they travel the length and breadth of the country. Their allegience Leeds United football team. They shout themselves hoarse,they pay their own fares,expenses and why for the “Love and Heart” in support of the team. BN needs to reengineer,reinvent,redo and if not by the next GE they will be REPLACED. I am talking from the heart. Afterall our forefathers fought with their heart and soul for a cause and why can’t we RELIVE their dreams. There are many political analysis on this subject and it takes “True sincerity to go back to our roots” Every political party knows where their roots lie and of course after many battles there is a time where we call “Time and take Stock” Imagine your football team is under attack from the wings put three instead of just one person to mark that dangerous move. Tactics in politics are no different from a football match where they are also strategies,manouverings,defensive,attacks and listening to the sideline COACHES. Pakatan has done well but all is not well too. The captain must know how to rally his troops to go for 3-0,or 4-0 or 5-0. We do wish Anwar Ibrahim and his supporters a well done and a pat on your backs but remember BN will not just sit down and take it lightly. The people have spoken but as in any football match its all over after the referee blows the whistle. The “mother of all battles” has just been completed but the war still rages on. 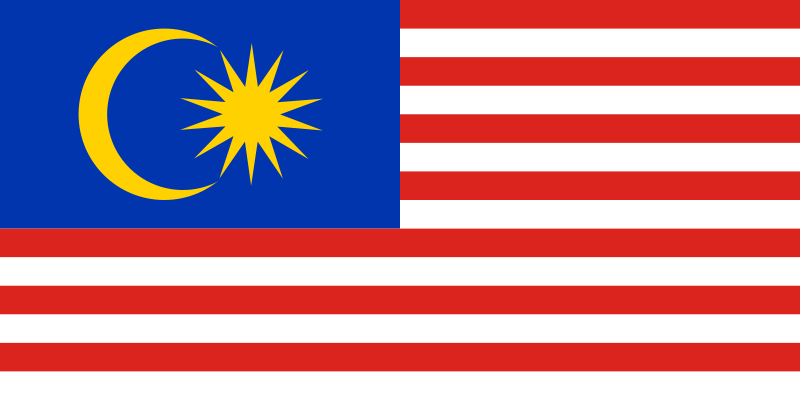 Democracy has lived on and its anybodys guess in the immediate future what more is there in MALAYSIABOLEHLAND…Its only “HT halftime”.. This Malaysiakini report http://www.malaysiakini.com/news/88579 headlines”Anwar Gets Bigger Majority” and Anwar is the new Parliamentarian P44 from Permatang Pauh. I would not be surprised Anwar goes to the bathroom first, closed the door and shout,”I’M BACK..!!” . First of all I would like to congratulate him for winning this by-election. Anwar got 31,195 votes, Arif Shah, 15,524, Hanafi, 92. Anwar won with a majority of 15,671. Anyway, Anwar has won more than what his wife got of 13398 votes. It was a tough fight for all concerned and a winner has emerged and declared. There will be many political analysis and of course post mortem but for now the Winner and Losers of this byelection will TRY to have a good nights sleep and recoup.The many party members involved will have earned their well deserved rests. Thanks for a Memorable Permatang pauh by election.